Inero is now officially off the market. 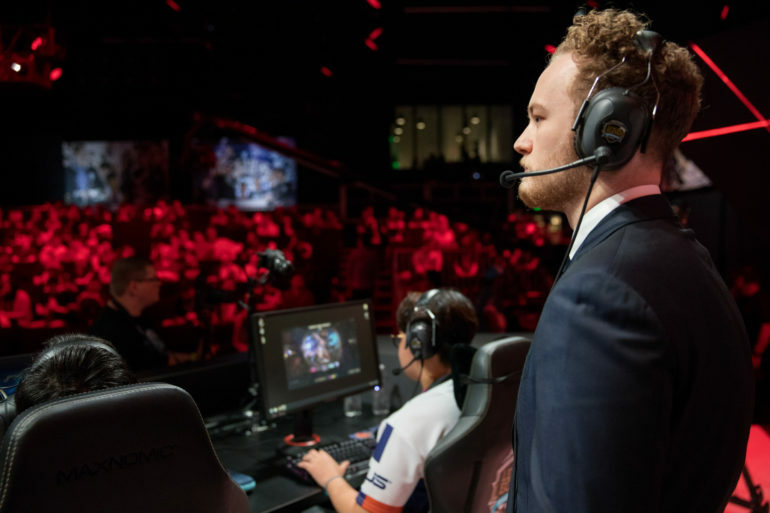 Three months after he abruptly left Echo Fox, Nick “Inero” Smith has been named Golden Guardians’ new head coach, the organization announced yesterday evening. In addition to Inero, Golden Guardians have also signed Danan Flander as the “team’s first-ever general manager.” Prior to joining Golden Guardians, Flander worked for Cloud9 as its senior General Manager, managing the organization’s various esport teams. Formerly the coach of Echo Fox, Inero suddenly left the organization mid-way through the NA LCS Summer Split in order to “pursue other opportunities,” Inero told interviewer Travis Gafford. A month after his departure from Echo Fox, Inero joined Golden Guardians as a consultant, during the team’s final push to try and secure a spot in the NA LCS playoffs. Unfortunately for Golden Guardians though, they were unable to qualify for playoffs, ending the NA LCS Summer Split once again in last place. “We’re excited to begin building our team for next season, starting with the hiring of these two proven esports professionals,” Golden Guardians’ head of esports Hunter Leigh said regarding the addition of Inero and Flander. This is likely just the beginning of the Golden Guardians rebuild for the 2019 season, expect more changes from the organization as the offseason inches closer.